One custom-made platinum man's ring. 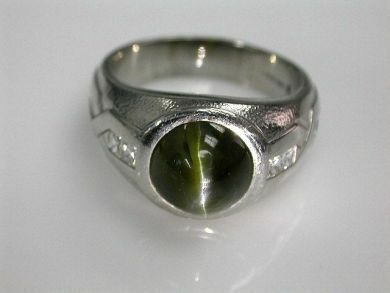 One cabochon cat's eye (5.09 carats). Four square cut diamonds (0.25 carats: VS-SI1 clarity: G-H colour).